We opened our Nagoya Office in August 2012. Experienced corporate lawyers located in our Nagoya Office provide professional services in the area of business law for commercial activities both in Japan and overseas, working together with colleagues specializing in various professional areas of practice in our other domestic and overseas offices. 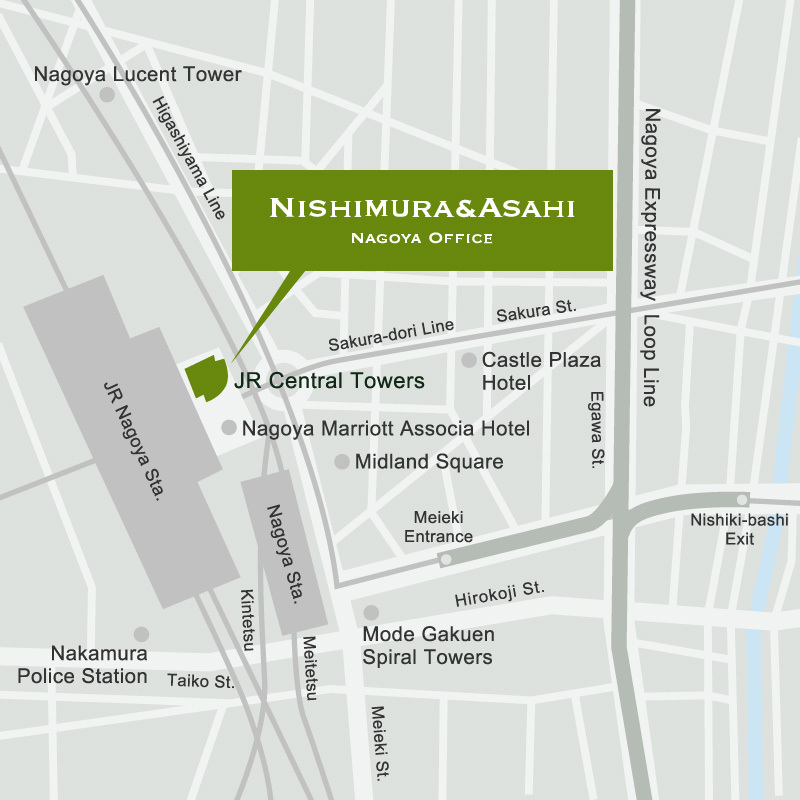 Our Nagoya Office is well placed to provide a “one-stop service” to enterprises in the central region of Japan.